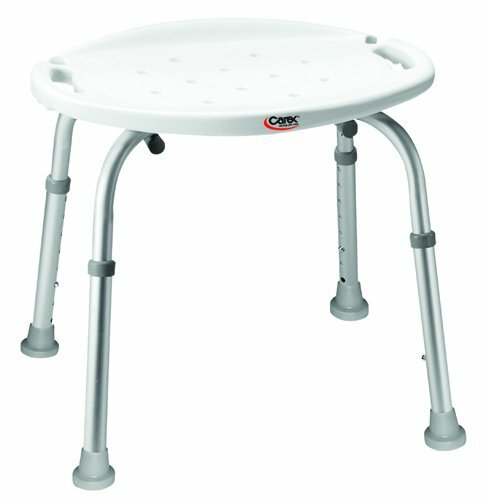 B653C0 Features: -Bath and shower seat. -Weight capacity: 300 lbs. Product Type: -Shower chair. Weight Capacity: -300-400 Lbs Pounds. Adjustable: -Yes. Dimensions: Overall Width - Side to Side: -20 Inches. Overall Depth - Front to Back: -18 Inches. Overall Product Weight: -4.1 Pounds. Overall Height - Top to Bottom: -13.5 Inches. Overall Height - Top to Bottom: -20.5 Inches.